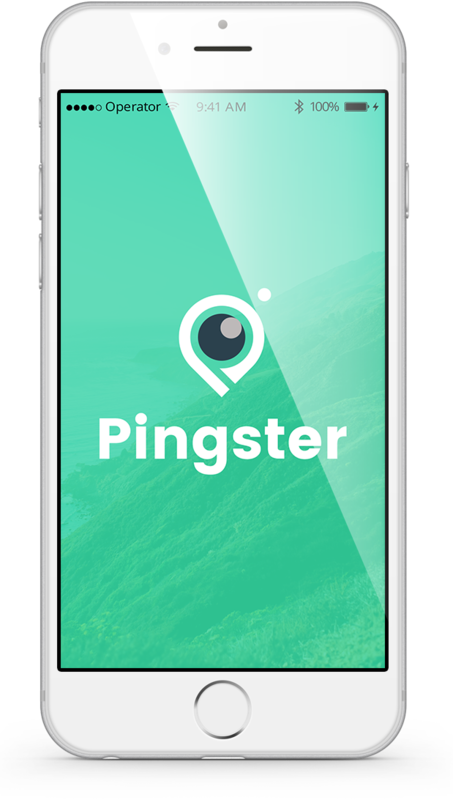 Pingster is an exciting new app with unlimited potential for users, businesses, and brands alike to demonstrate their value in a visual way. Unlike Instagram and other photo and video sharing apps, visibility isn’t tied to popularity or hashtags. 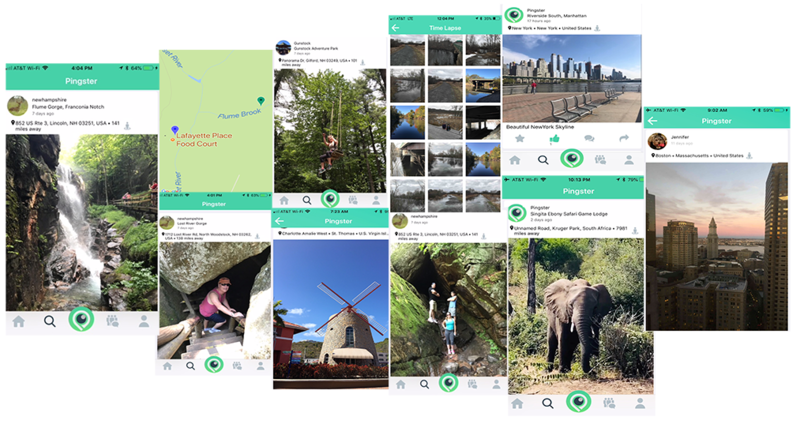 Rather our App is based off of geotagging technology that assigns photos to a particular location and then sorts them based on time of upload. This means that the average person has just as much opportunity to have their photographs seen by the public as a celebrity and a small business is able to compete at the same level as a corporate giant. Most social apps today are a giant popularity contest. In order for an author, photographer, small business or even an individual to receive attention for their posts they must achieve a level of popularity that is difficult to come by without excessive amounts of free time, real-life connections, or the money to buy influence and followers. Pingster operates by location and timestamps, versus profile. Our image feeds are not based on people or businesses the user chooses to follow but their location. As someone takes a hike, walks through a campus, visits Disney World, or even walks past a restaurant they will receive notifications that there are photos and comments about that spot. It is an app that is both equalizing from a social standpoint and also advantageous for businesses to develop the type of visual campaigns that can influence customers to walk through their doors. Your story, your vision, your app. Bird watchers uploads a photo of a rare bird sighted in the area. Hair salons demonstrate its stylists with photos of customers with gorgeous looking hair. Gaming groups use photos attached to a location to develop mystery and chase games. People use the app as a virtual scrapbook. A couple becomes engaged at a historic site and saves the moment forever in photographic posterity. With each photo users have an opportunity to connect and share in a way that is visual, meaningful, and safe. The lack of associated social profiles allows each app user to choose how they present themselves to the world. A shy person who maintains an interest in photography is able to share just that aspect of their life with others, whereas a more social person or business can choose to attach their own image to a spot. Pingster was developed for users of all kinds. It can be used in one fashion by the hobby photographer and another by a pizza sub shop business. We have brand-new ideas on how to montetize the app very different than the current standard mobile app sponsored ad method. In order to develop the type of capital to roll out Pingster correctly, we are selling common stock shares to the corporation. Instagram, Periscope, and Snapchat were all once considered to be irrelevant next to Facebook and Twitter. Would someone need Instagram when they can share photos on Facebook? Why do you need to share a ten second video when there is YouTube? Not everyone could see the potential of these apps to grow to the giants they are now. Our team is on the verge of The Next Big Thing and your support can help us take Pingster to the next level. Currently we have launched our IOS version of the app to the Apple Store and are preparing both Google Play Android launch mid Jan 2019 and the affiliate program to get our users involved in build our business profile database. We are looking for businesses and investors with the vision to see the apps potential to deliver amazing social results. Join us in this next photo revolution.